Welcome again to our Gadget Review, today we came up with another smartphone which is having High-End specification that other popular brands has just like Samsung, iPhone and Xiaomi. In UMI Plus E 4G you will have all the unique and expensive features and not only this, you will get updated with latest Android OS every month from the officials. 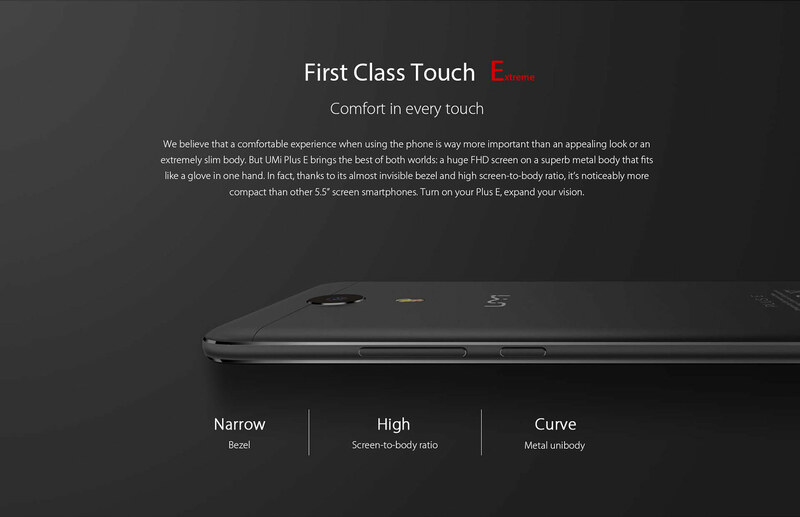 UMI Plus E 4G will give you stunning look, from hard black front and back space with glowing and shining fingerprint scanner as home-button. 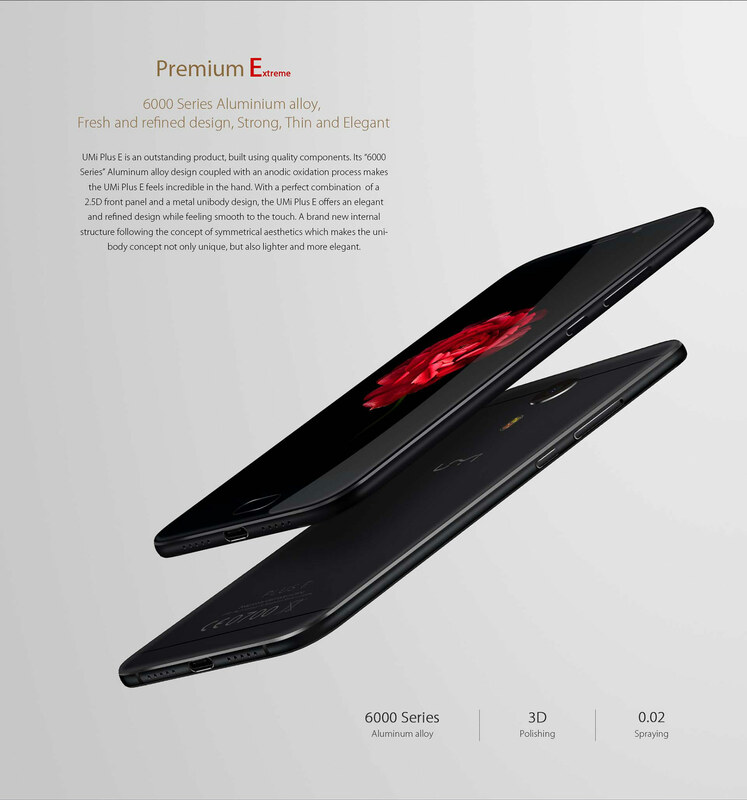 The smartphone is really amazing because of its 5 Unique features, Firstly the body and the look appearance, secondly it will have fingerprint scanner, third it hasG support, fourth it has 6GB of RAM, fifth it has 2.3 Octa Core Processor and sixth it is having Graphics card of Mali T880 which will work perfectly with 6GB of RAM. If your phone is having such specifications as 6GB RAM and Mali T880 then you will rock, and most importantly you need good CPU also as it has 2.3GHz Octa Core processor which will definitely so smooth and can handle the load. The 5.5-inch smartphone will rock having such specifications, the phone will have 64GB of internal memory, sporting 13MP rear camera and 5MP front camera.